Emily began her role at City as the Law Librarian in 2000, before joining The City Law School in 2014 as Lecturer. She is known for her work in developing the award-winning Lawbore resource – a website to support and engage those studying law. 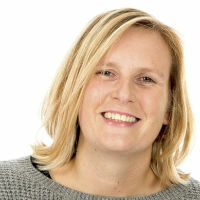 Her work has been recognised in many ways, both by her previous profession (Wildy/BIALL Law Librarian of the Year 2012) and the academic law community (Best paper in Legal Education and Technology at BILETA 2012, Routledge/Association of Law Teachers (ALT) Teaching Law with Technology Prize 2013). In 2013 the Higher Education Academy named her one of 55 National Teaching Fellows – the UK’s most prestigious awards for excellence in higher education teaching and support for learning. Emily’s academic background includes degrees in English Literature, Law, Information Science and Academic Practice. Her interests lie in legal education, legal research and legal information literacy, student engagement, legal design and visualisation, and the use of technology in teaching and learning. She is a member of CILIP, BIALL, Clarity, ALT and LERN. Allbon, E. and Kaur Dua, S. (2018). Elliott and Quinn's English Legal System. Pearson. ISBN 978-1-292-20851-0. Allbon, E. and Dua, S.K. (2016). The Insider’s Guide to Legal Skills. Routledge. ISBN 978-1-317-57274-9. Allbon, E. (2016). Working with the Library. In Ashford, C. and Guth, J. (Eds. ), The Legal Academic's Handbook Palgrave Macmillan. ISBN 978-1-137-43010-6. Allbon, E. (2016). Showcasing outside the library walls: growth through collaboration. In Mohando, L.F., Gottschalk, S., Schulz, M.R. and Tanja, G. (Eds. ), Knowledge Management in Law Firms Expertise in Action Globe Law and Business. ISBN 978-1-911078-13-5. Allbon, E. (2014). Planning a training session. BIALL Handbook of Legal Information Management (pp. 283–302). ISBN 978-1-4094-2396-6. Allbon, E. (2014). Web, Social Media and Online Communities for those Studying for Professions: Embraced or Tolerated? eLmL 2014 : The Sixth International Conference on Mobile, Hybrid, and On-line Learning 23-27 March, Barcelona, Spain. Allbon, E. (2012). Too cool for (law) school? Using technology to engage students in legal skills. BILETA 2012 29-30 March, Northumbria University Law School, Newcastle, UK. Allbon, E. (2012). The free legal info landscape. Justice Wide Open 29 February, City University London, London, UK. Allbon, E. (2011). Stimulating student learning when visual is king. LILAC 2011 18-20 April, London School of Economics & Political Science, London, UK. Kaur, S. and Allbon, E. (2011). Tuning in not zoning out: teaching students legal skills via a multimedia learning hub. Learning in Law Annual Conference 2011: Experiencing legal education 28-29 January, University of Warwick, Coventry, UK. Allbon, E. (2018). Beyond text: exploiting the visual in law. Australian Law Librarian, 26(2), pp. 54–63. Allbon, E. (2016). Seeing is believing: We are all converging. Law Teacher, 50(1), pp. 44–60. doi:10.1080/03069400.2016.1146455 . Allbon, E. (2016). Connecting with clients - what tools work? Australian Law Librarian, 23(1), pp. 4–13. Allbon, E. (2015). Infiltrate and Conquer: Showing the World What Librarians Can Do. Legal Information Management, 15(04), pp. 218–224. doi:10.1017/s1472669615000560 . Allbon, E. (2014). Web, social media and online communities for those studying for professions: Embraced or tolerated? Managing information online at the City Law School. eLmL - International Conference on Mobile, Hybrid, and On-line Learning pp. 37–43. Allbon, E. (2014). Book Review: The Path to Pupillage, 2013, Sweet & Maxwell, 3rd edn. The Law Teacher, 48(2), pp. 223–225. Allbon, E. (2013). Too cool for (law) school? Using technology to engage students in legal skills. European Journal of Law and Technology, 4(1). Allbon, E. and Dua, S.K. (2012). Legal Skills: Ensuring ‘Appy Students. Legal Information Management, 12(04), pp. 266–272. doi:10.1017/s1472669612000618 . Allbon, E. (2012). Resource Review: UK Human Rights Blog. The Law Teacher, 46(1), pp. 88–90. Allbon, E. (2011). From Black and White to Colour; Educating and Engaging the Screen Addicts of 2011. Legal Information Management, 11, pp. 226–232. doi:10.1017/S147266961100079X . Allbon, E. (2009). Innovative involvement not embarrassing intervention: Using technology to connect with students without treading on virtual toes. Legal Information Management, 9(4), pp. 240–240. Allbon, E. and Wakefield, N. (2008). Staying vital to the virtual learner: what role for future academic law librarians? Legal Information Management, 8(1), pp. 18–18. Allbon, E. (2005). IT'S ALIVE! The birth of Lawbore and the Indispensability of the Law Librarian. Legal Information Management, 5(4), pp. 21–21. Allbon, E. and Williams, P. (2002). Nasties in the Net: children and censorship on the Web. New Library World, 103, pp. 30–38. doi:10.1108/03074800210415041 . The Law Teacher: The International Journal of Legal Education, Editorial board member. Nottingham Law School, Centre for Legal Education Conference, UK. (Conference) Nottingham, UK (2017). BILETA: British and Irish Law Education and Technology Association. (Conference) Braga, Portugal (2017). ALT Conference. (Conference) Portsmouth, UK (2017). All-day legislation workshop for the Welsh Assembly. (Workshop) Cardiff, UK (2016). Invited speaker. Society of Legal Scholars Conference. (Conference) Oxford, UK (2016). Learning at City Conference. (Conference) London, UK (2016). Co-authors: Bullimore, A.; Benata, R.
Infiltrate and conquer: Showing the World what Librarians can do. Brighton, UK (2015). Web, Social Media and Online Communities for those studying for the Professions: Embraced or Tolerated? Barcelona, Spain (2014). Teaching Research Skills at City. London, UK (2014). Engaging Legal Minds: Providing the digital tools students need. Plymouth, UK (2013). Law Libraries and Law Students: Motivating Broader Learning and an interest in practical legal skills. Oslo, Norway (2013). Engaging and Educating the Screen Addicts of 2012. Boston, USA (2012). Too Cool for (Law) School? Using Technology to Engage Students in Legal Skills. Northumbria University, UK (2012). Lawbore rocks! LILAC (Librarians' Information Literacy Annual Conference) (2009). Innovative involvement not embarrassing intervention: Using technology to connect with students without treading on virtual toes. BIALL (British and Irish Association of Law Librarians) Annual Conference (2009). Getting down with the kids; satisfying the 'google generation' without compromising quality for cool (both possible!). Internet Librarian International (2008). Debunking the myth: Lawbore, Indispensibility and becoming the vanguard of change. AALL (American Association of Law Libraries) Annual Meeting and Conference (2006). Developing the student learning environment at City University. UKCLE Seminar on teaching and learning for legal skills trainers (2005). Developing the legal portal of City University to support learners. ASSIGN Conference (2004).